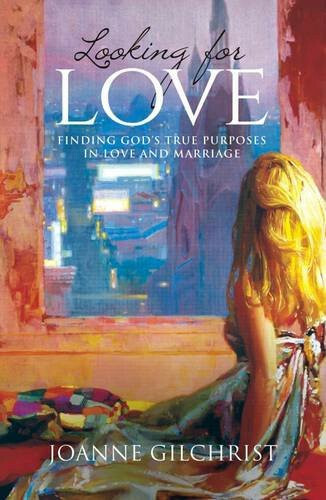 Joanne Gilchrist, seeks to help young woman embrace both singleness and relationships with all the blessings, trials and gifts that each stage has to offer. As a teenager Joanne was much like any other girl - obsessed with boys and continually trying to find a boy friend. However Looking for Love is not a guidebook to meeting men but an honest, often humorous journey, based on Joanne's very real experiences of trying to find 'the one' only to realize that she first needed to change from the inside out. Joanne's raw honesty is what makes Looking for Love such a refreshing book. Looking For Love by Joanne Gilchrist was published by Malcolm Down Publishing in March 2017 and is our 31619th best seller. The ISBN for Looking For Love is 9781910786635. Be the first to review Looking For Love! Got a question? No problem! Just click here to ask us about Looking For Love. 'This book is a must read for those who are looking for love, but who have questions about the healthiest way of doing this. Joanne speaks from a new level of understanding for those who are dealing with the complex issue of pursuing a deep and personal relationship with Christ and finding a partner. Coming from a personal understanding of the Father's heart for his children, Joanne gives a clear insight into the do's and don't's of dating in a Christian world."